We’d love your help. 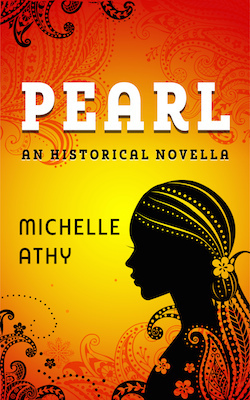 Let us know what’s wrong with this preview of Pearl by Michelle Athy. After Mrs. Keegan dies, rumor has it that Mr. Keegan may return to his native England with his two children, which m Time to a slave only means endless work, but for Pearl, the last ten years have meant time without her younger brother Julius. He was sold away from Barbados, a little island of sugar cane and slavery, but Pearl is still there, the lady's maid to Mrs. Keegan. To ask other readers questions about Pearl, please sign up. The life of an eighteenth century slave is anything but easy. Hardship is a normal and accepted way of living. Slaves exist from day to day, with little or no hope of ever moving beyond the situation they find themselves in. This does not stop Pearl, a quick-thinking, hardworking and spunky slave girl, who travels from Barbados to England in search of her long-lost brother. As the story unfolds, the obstacles that she face seem insurmountable. Strength and determination keep her moving forward a The life of an eighteenth century slave is anything but easy. Hardship is a normal and accepted way of living. Slaves exist from day to day, with little or no hope of ever moving beyond the situation they find themselves in. This does not stop Pearl, a quick-thinking, hardworking and spunky slave girl, who travels from Barbados to England in search of her long-lost brother. As the story unfolds, the obstacles that she face seem insurmountable. Strength and determination keep her moving forward and help her to take each challenge in her stride.